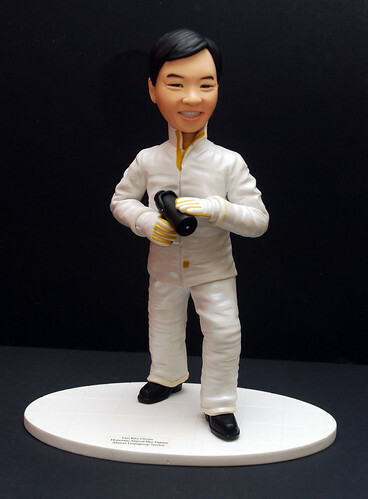 "As informed, I am actually looking for someone who is able to customise a firefighter figurine, which will be presented to my boss as a farewell event souvenir. 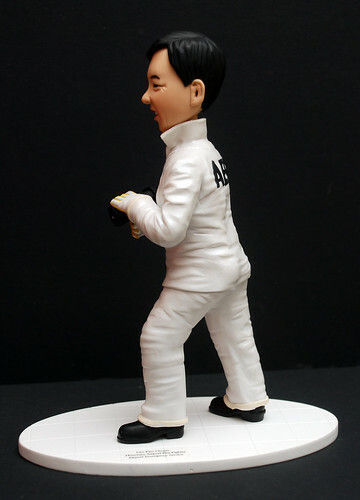 The Figurine I am looking for should be about 20- 30 cm in height. The firefighter should protray a professional image. It will be a good deal if I can have resemblance of my CEO. I will be having my CEO farewell event on the 5 June....are pictures of firefighters in alumnised suit. 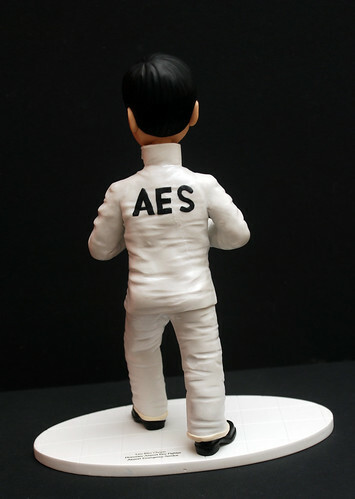 ....Pls also include the letters AES on the back of the aluminised suit. " 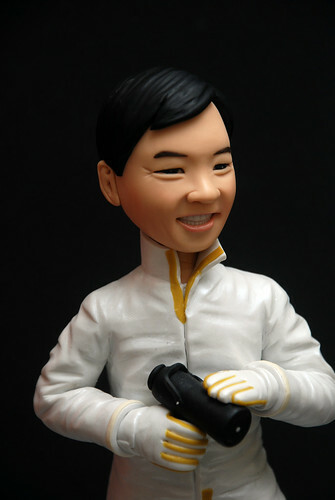 This was a fully customised figurine, from head to toe. However, this one is different from the past figurine, as the client wanted a proportional figurine, more realistic and formal/serious type. Not those big head, small body caricature type. Can't do it at 30cm, as it is not stable, given the height and proportion and the nature of the clay medium. We agreed at 20cm height for it.